The powers-that-be in Dallas are in a tizzy after several locations around the area received envelopes of white powder determined to be corn starch. The popular cooking ingredient was said to be accompanied by a “chilling note.” A spokesman reported that the note said “something to the effect of 'Al-Qaeda in the USA.’” Gasp! The Horror! A cold, chilling wave of fear and dread just penetrated my entire body! It’s interesting that the message was only described in vague terms, rather than the exact text that was written. That tells me the note was some rambling, cryptic, hand scribbled message or that there was no note at all. The reporter shows his incompetence by not insisting on the exact text of the message. “We took it as a credible threat,” said one emergency responder. What threat? Threatening what action? You can’t initiate a threat unless you clearly indicate a future, violent action. Corn starch and a note that says “I’m here” is a threat? Oh yeah? Then if corn starch or any other white powder is considered a possible hazard, didn’t that very material just get “through the mail” to at least 13 locations in the Dallas area? Isn’t that just what the reporter has said occurred? “These 13 cases have wasted thousands and thousands of dollars of local resources. If police catch the person responsible, they can make them pay for all that,” whines one of the Dallas tax eaters. Pay for what? What’s the crime? Sending corn starch in the mail? Even in a law happy jungle like the US, I doubt there is a single decree that prohibits sending corn starch, sugar or any other cooking ingredients through the mail. These people are hysterical idiots! This is such an obvious government inside job, it’s laughable. It’s budget review time for the state haz-mat folks and they want to remain relevant and indispensable. They don’t want to join the 450 tax parasites just laid off by the City of Dallas. The flood of terrorist attacks our rulers have constantly predicted and warned us about have not occurred and there is fear the public may no longer be believers. Government “jobs” are at stake here and no action would be considered inappropriate to save them. Of course, any white powder is automatically suspected to be anthrax and we now know the 2001 attacks originated not from some foreign or domestic terror organization but from the US Government, itself! That is a fact that has been conveniently forgotten by the public or one they never learned. How would we ever survive without the government? 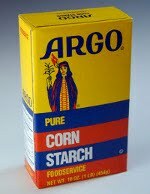 Who else is brave enough to protect us from corn starch? These state gangsters and their supporters seem to have an uncommon fear of any kind of white powder. Buildings are evacuated, chaos ensues, and state “business” is disrupted. This comical disorder is all to the benefit of those sovereign individuals trying to live their lives free of state harassment. The more disruption, the less mischief these gangsters can create and execute against free living individuals. If every anti-state person sent an envelope of corn starch to DC, what would be the result? No note would be necessary. No need to even write “hello” as even this could be contorted into a threat by these paranoid parasites. Seeing the hysteria that occurred over a handful of these mailings around one metropolitan area, I have to wonder, what would be the result of thousands of these same mailings all targeted at DC? Would the city shut down? Would all government “business” come to a screeching halt? If a sender was caught, what could he/she be charged with--sending an anti-caking and thickening agent through the mail? I’m not encouraging or suggesting any action here. I’m just speculating about what might occur. You have to admit, sending your congressman a few grams of corn starch would create more effective action (or better, inaction) than writing them a letter begging for their help. The state will do whatever necessary to deceive people with phony threats and frightening boogey men to keep its protection racket alive. Sometimes, they can even show masterful creativity in composing their nefarious schemes. But inevitably, their designs have just enough flaws, inconsistencies, and goofy, incompetent execution to expose them for the frauds they are. Roger Young is a freelance photographer in Texas and has a blog.